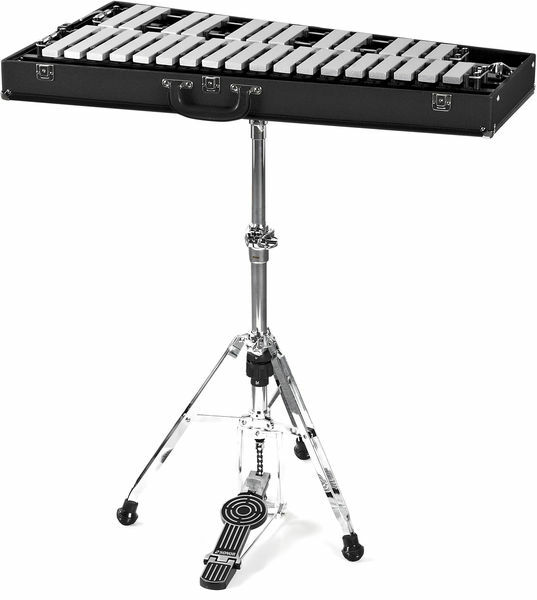 Sonor KGL100 SONOR Concert Glockenspiels have special alloy bars which are individually precision tuned by hand. The overtone tuning process ensure an excellent, pure and balanced sound. The KGL 30 can be equipped with a set of mounting legs. The legs and the mallets can be placed in the case for a safety transport. The KGL 100 in addition has a pedal muffler which provides secure sound control and easy transport. ID: 121227 © 1996–2019 Thomann GmbH Thomann loves you, because you rock!